Do you know the name of the Polish social worker who rescued 2,500 Jewish children from the Warsaw Ghetto during WWII? How about the name of America’s first female self-made millionaire? Can you name a British suffrage movement leader who Time Magazine declared to be one of the most important people of the 20th century? Or the name of a real-life woman pirate? While we always delight in hearing about the achievements of women in history, there are some names that get much more attention than others. Children and adults of today are likely to be very familiar with the experiences of Rosa Parks, Amelia Earhart, and Helen Keller -- and rightly so. However, there are many other talented, courageous, and remarkable women who also deserve to have their stories told, but whose names are far less familiar. We have gathered together a list of ten of these women, whom you may not recognize, but whose journeys are more than worthy of your attention. Sometimes these women have been relegated to the footnotes of history books, their experiences almost entirely glossed over. Yet, each woman made significant contributions or noteworthy strides in her lifetime. In addition to the descriptions listed below, you will find their stories within our collection of over 400 biographies of remarkable girls and women. We also share many stories of Mighty Girl heroes of yesteryear and today on our Facebook page. Pankhurst was a British suffragist and political activist who was instrumental to the women’s rights cause. She helped found the Women’s Social and Political Union (WSPU), a group that was involved in militant activism in the name of the suffrage movement, leading to her multiple arrests. Her daughters, Christabel, Sylvia and Adela, were also participants, to varying degrees. 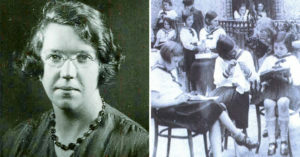 After the vote was given to women (over the age of 30) in 1918, Parkhurst recreated the WSPU as the Women’s Party, which was focused on encouraging equality for women in the public sphere. She lived just long enough to see the minimum age lowered to 21, the same as for men. A historical fiction selection about the British fight for women's suffrage is Suffragette: My Story (ages 9 - 12). Edmonds was a woman of many talents, and high on the list was being a disguise expert. Leaving her homeland of Canada to escape an overbearing father, Edmonds enlisted in the U.S. Union Army during the Civil War, masquerading as a man named Frank Thompson. Her skilled deception was so great that when presented with an opportunity to act as a spy, she successfully managed to layer her disguises. Thus, Edmonds became Thompson who became, among others, an African American laundress and an Irish peddler woman. She later petitioned the War Department, and Sarah Emma Edmonds officially entered the history books as a veteran of the Civil War. Young readers will enjoy the lively renditions of Edmonds’ story in Nurse, Soldier, Spy (ages 6 - 10) and Sarah Emma Edmonds Was a Great Pretender (7 - 10). Older readers will find her gripping tale recounted in Behind Rebel Lines (10 - 14) and the historical fiction novel A Soldier’s Secret (12 and up). Sendler was a Polish Roman Catholic social worker and nurse who put herself at great personal risk in order to achieve a higher good. Working with an underground resistance movement during WWII, Sendler led a secret operation to successfully smuggle 2,500 Jewish children of the Warsaw Ghetto, saving them from nearly certain death. Her ruse was seemingly simple and astonishingly successful: enter the ghetto as a nurse seeking signs of typhus, and leave again with children hidden in ambulances, disguised as packages, or even tucked into sacks. While she was eventually detected, tortured, and sentenced to execution, Sendler escaped with the help of the resistance, and was able to retrieve the glass jars she had buried containing the names of those children she had rescued. After the war, Sendler worked to reunite the children with any existing family members, and provide them with their original identities. For many books and films about Sendler, visit A Mighty Girl’s Irena Sendler collection. To learn more about Sendler's amazing story, read the tribute we released on her birthday. Huerta has spent 60 years of her life enthusiastically advocating for the rights of others: women, children, the poor, and especially migrant workers. She quickly relinquished her career as a grammar school teacher once she decided that she could have a greater impact by organizing farm workers. Alongside César Chávez, Huerta founded the United States’ first farmworkers’ union: the National Farmworkers Association (later to become United Farm Workers). For her tireless efforts, Huerta has received the Presidential Eleanor Roosevelt Award for Human Rights, and in 2012 the Presidential Medal of Freedom. Read more about Huerta’s life of advocacy in Dolores Huerta: A Hero to Migrant Workers (for ages 6 - 8) and in the bilingual picture book of Huerta and Chávez’s collaboration in Side by Side / Lado a lado (ages 4 - 8). Knight is widely considered to be the most famous 19th-century woman inventor. 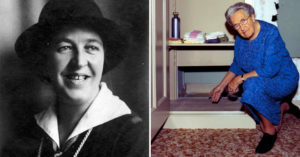 She began dabbling with inventions at a young age, creating many small objects and playthings, and then at 12 years developed a stop-motion safety mechanism for factory usage. Her practical approach and technical mind went on to create more than 90 documented inventions in her lifetime, and she received at least 20 patents. Knight’s most widely-used creation may very well be the grocery bag. At age 30, she invented a machine to fold and glue paper, forming a flat-bottomed paper bag (previously, bags were an envelope style). She had to fight for the patent, as her idea was stolen by a man who claimed a woman was not capable of such an invention, but Knight was justly awarded credit in 1871. Several books on Knight can be found in our collection, including In the Bag! Margaret Knight Wraps It Up and Marvelous Mattie: How Margaret E. Knight Became an Inventor (both for ages 5 - 8) and a section within Girls Think of Everything: Stories of Ingenious Inventions by Women. Better known by her professional name “Madame C. J.,” Walker has the admirable position of being the first female self-made millionaire in the United States. She made the remarkable journey from being a poor, illiterate daughter of former slaves to becoming the owner of the largest black-owned business in the country. Her business acumen was cultivated in the world of beauty products for African-American women, where she developed hair-straightening techniques, marketed lines of shampoos and pomades, and trained beauticians, or “Walker Agents”. Advertising and marketing were her strong suits, and her name and image were legendary during her lifetime. Discover an assortment of products about Madame C. J. Walker on A Mighty Girl’s website, including a puzzle, graphic novel (for ages 8 -12), biography (for ages 7 - 10), and a collection of poetry inspired in part by Walker and her daughter, A’Lelia (for ages 12 and up). Well before she survived the sinking Titanic, Brown had established a reputation for herself: as a socialite, a philanthropist, and an activist. Brown’s thirst for adventure led her on many exploits in life, and the Titanic catastrophe was just one of them. However, it is most certainly her feat of ocean survival -- one she attributed to “Typical Brown luck; We’re unsinkable” -- and what happened next that has led to her lasting fame. Set loose from the Titanic on a lifeboat, Brown reached safe haven aboard the ship Carpathia. She promptly went into activist mode, and using her socialite status began fundraising among the ship’s first class passengers to gather support for the many people who had just lost everything. Brown’s bravery and compassion extended beyond this one episode, though, as she was also an ardent supporter of miners’ rights, actively involved in the Suffrage Movement, and one of the first women to run for U.S. Congress. Readers aged 6 - 11 will be regaled by Brown’s life story in The Heroine of the Titanic, while older readers (ages 10 - 13) will be learn more in Heroine of the Titanic: The Real Unsinkable Molly Brown. Wong has the distinction of being the first Chinese American film star, and the first Asian American actress with international acclaim. A childhood passion for the silver screen grew into a professional career of film roles (silent era and “talkies” alike), radio, television and stage performances. She was also highly regarded as a fashion icon. However, Wong’s greatest obstacle, and one she battled for the rest of her life, was a deep racial and ethnic prejudice within the entertainment industry. Despite highly lauded critical praise, Wong was routinely denied lead roles, and typecast in stereotypical ones. Even so, by the end of her 40-year career Wong’s resume boasted an impressive 54 films, and her work was honored with a star on the Hollywood Walk of Fame. Share a beautiful picture book biography of Wong, Shining Star: The Anna May Wong Story, with the children in your life (for ages 6 - 11). Bonney (or sometimes Bonny) was a young Irish woman who immigrated as a child to the New World with her family, but eventually left behind common conventions to be a pirate in the Caribbean. While little is factually known about her life, she was indeed an openly-female pirate with a fair amount of notoriety. Reportedly, she was daring, ferociously brave, and even cutthroat in her role. She is known to have led an adventurous life on the high seas, alongside the infamous pirate Captain Jack Rackham (aka Calico Jack), and befriending another female pirate, Mary Read. Rumors and legend surround the fate of Anne Bonney, with some saying she was executed, and some claiming she escaped in one way or another to continue her adventures. Find out more behind the woman who was a pirate in Sea Queens: Women Pirates Around The World (age 9 - 12). Grandin’s achievements as a professor and doctor of animal science are impressive all on their own -- but made all the more so by the fact that she is a woman living with autism. Grandin has gone well above and beyond the very limited expectations that were set upon her with her 1952 diagnosis. Today, she is a best-selling author, autism activist, and an animal welfare consultant. She has taken her personal sensitivities and challenges, and transformed them into high-demand skills. Grandin directly attributes her insight into animal welfare issues to her personal experience with autism. In 2010, she was the featured subject of an HBO movie, celebrating her journey. You can find the DVD film Temple Grandin, starring Claire Danes, on our site, along with the book Temple Grandin: How the Girl Who Loved Cows Embraced Autism and Changed the World (age 9 and up). To be sure, there are many more stories out there, and we look forward to the point when increasing numbers of them are being shared. In the meantime, we are pleased to shine a light on these historic figures. Originally published March 27, 2013. Updated March 9, 2014.